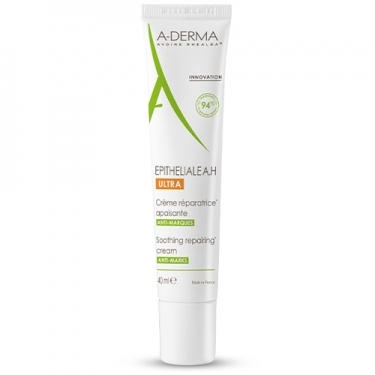 DESCRIPTION: Epitheliale AH DUO Ultra-Repairing Cream from A-Derma is an ultra-repair cream with anti-bruising action that accelerates skin healing. Formulated with Cicahyalumide to speed up skin repair and help reduce skin tags. With rhealba oat extract that softens and soothes irritated skin. With rhealba oat oil which contains regenerating properties of the skin. Hyaluronic acid that repairs and moisturizes the skin. Without perfume. No parabens. It is invisible, non-sticky, and easy to apply. Apply a small layer and massage gently.